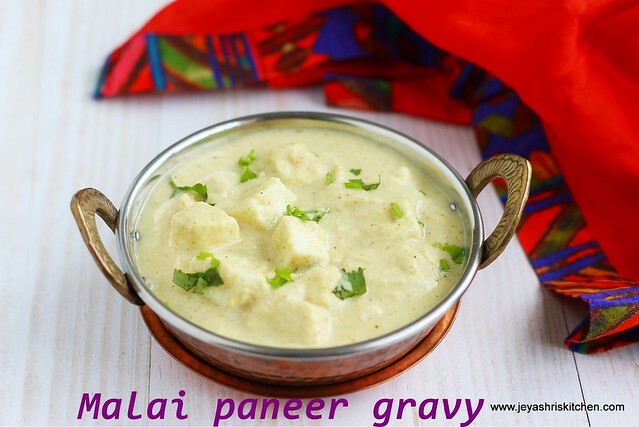 Malai paneer gravy | Paneer in white gravy, is a rich creamy white gravy, goes well with roti, naan and spicy pulaos. 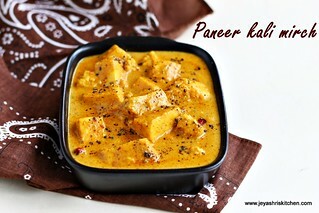 Generally i make paneer gravy with onion tomato base. Even for malai kofta also i make the same thing but recently during my India trip i happened to taste Malai kofta in white gravy, in a party. 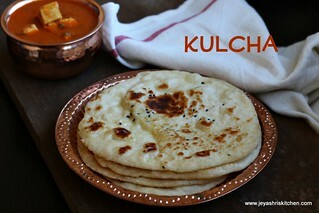 I tried this with biryani and naan and it tasted well with both. I tried the same with paneer yesterday. 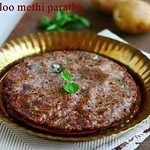 This is similar to the methi malai mutter. 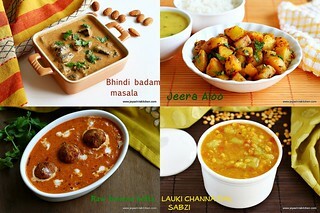 You can make koftas also with this White gravy as base. 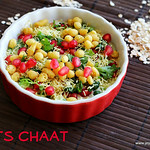 I adapted the recipe from Tarla dalal's website, with little changes. 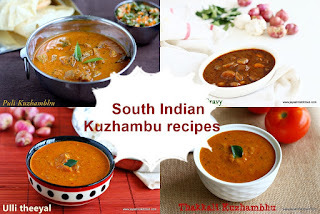 Even for parties or potlucks you can include this along another spicy tomato based gravy, it will be a great combo to pair these with naan, rotis and pulao. Roughly chop the onions. Peel the skin of the garlic. In a pan add 2 tsp of oil and add the onions and garlic. Cook in a low flame for 5 minutes without changing its colour. Soak the cashew and almonds in hot water for 10 minutes and take out the skin from the almonds. Soak the paneer in hot water. Keep them immersed till you add it to the gravy. Grind the onion and garlic into a fine paste. Add little water while grinding. Grind the cashew and almond into a fine paste. Add milk to this while grinding. Add the remaining milk if any to this cashew badam paste and mix well. Keep aside. In a pan add remaining oil and add the green chili, cardamom and bay leaf. Add the ground onion garlic paste. Saute well in a low flame for 3-4 minutes. Add yogurt to this. Whisk well to get this blend nicely with the gravy. Add the cashew almond paste to this now. Mix well and let this cook for 5-6 minutes in a low flame. In between slightly increase the heat and bring it down. Stir continuously. Ensure that the colour of the gravy should not get changed. Add garam masala now. 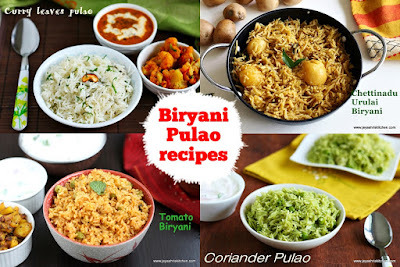 If you are so particular about the rich white colour, skip the addition of garam masala. It will slightly change the colour. Add the fresh cream and if needed add little water to get the right consistency of the gravy. 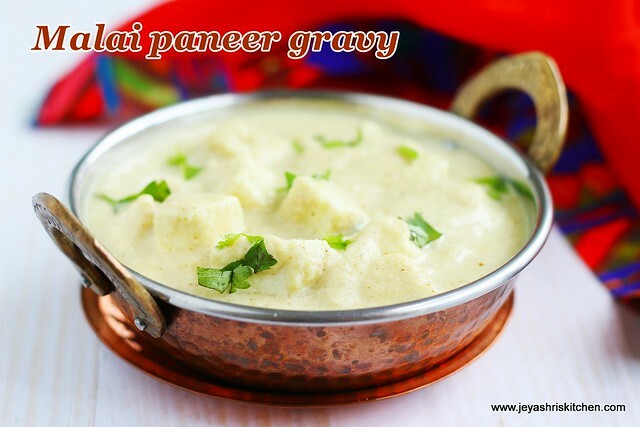 Squeeze out the excess water from paneer and add it to the gravy. Add salt now and mix it well. Boil for a minute. Instead of almonds you can add melon seeds(magaz). This gives a creamy texture for the gravy. The gravy as such will not be too spicy, if you want you can add one more green chili too. The original recipe blanched the onions and garlic and then made as a paste. Since i felt it will be too raw, i slightly roasted it in the oil. Ensure that the onions doesn't change it color. You can store this White gravy without adding yogurt in the refrigerator for a week. Very yummy!!! May I know why u add salt at last? Thank you,Since we are adding milk while grinding the cashew nuts, chances are there that the gravy may get curdled while adding salt. So to avoid that, we are adding it in the last. is yogurt essential for gravy? Because whenever I add yogurt, it gets curdled. 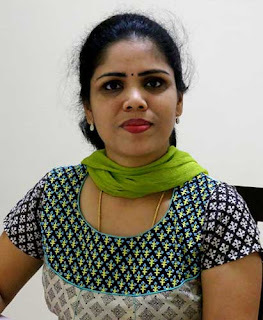 Your blog is just too good! It's my go to on those days when my mind goes blank in the mornings! 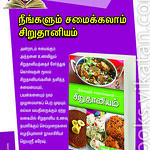 I just follow the recipes as is and without doubt, all of the dishes I've tried have turned out great till date!! Also, I've bookmarked soooo many of your recipes to try..